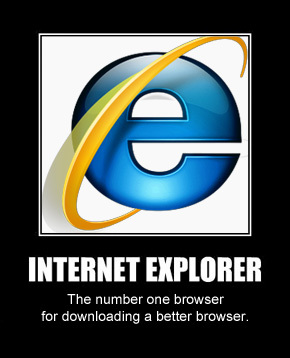 CERT (United States Computer Readiness Team) has on more than one occasion released the following information to system administrators and the general public: Stop using Internet Explorer. Why? What’s wrong with the big blue E? Security issues. While IE is down to 23% of market share, it still leads in vulnerabilities. Reports of bugs, exploits, and hacks into IE’s coding which can allow a remote, unauthenticated attacker to execute arbitrary code on a vulnerable system. Visiting sites that use sensitive information such as banking or online shopping, can be easily compromised thereafter. If you are still using IE, consider trying Google Chrome or Firefox to browse instead. With these browsers you can also add extensions to customize your experience. For example we recommend adding an extension called “adblock” to make sure annoying fake ads do not interrupt your browsing time. It’s Cyber Security Month! 31 security tips in 31 days brought to you by Lassen PC, Managed Solutions Provider. This entry was posted in Education, Security and tagged chrome, firefox, internet explorer, safari, security. Bookmark the permalink.